Indian party politics and electoral process under the parliamentary democracy has been passing through more event based and Credibility Politics since 2014s including the national as well as regional parties. In this context, the political weather and temperature of Odisha suit more complex, aggressive and symbolic event based where Bijepur By-election is holding on 24 February. The three major political parties including BJD( Rita sahu), BJP (Ashok Panigrahi) and Congress(Pranaya Sahu) have declared their MLAs candidates. Bijepur’s demography profile asserts in the several castes and communities where the prominent Teli(Sahu and Bhulia/ Meher( Wavier ) communities would be the decidable imperatives for the Bijepur political battle accordingly some says. On the other hand, voting pattern and its behavior have not witnessed as a identity politics like Bihar, UP and Gujrat in odisha since 1951. Core issue behind all the political parties focuses on socio-economic development of Bijepur in Bargarh District. This by-election would be epi-centre before the 2019 general election and may be question of the legitimacy for the BJD while the BJP craves to open up the victory gate for the eastern Indian political zone from the Bijepur. At the same time, the congress has been retaining the MLAs seat under the leadership of late Subal sahu since 2003. After his death, the congress endeavors to preserve the fort of this constituency. The period between 2014 to 2018,there is high voltage of political transformation and changes in Odisha party political equations. 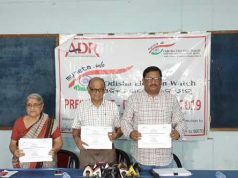 The Panchayats election mandate of February – March of 2017 prama facieses that certain debacle of the BJD in the Zillaparisad Seats in general and particular in Western Odisha districts compare to 2012 pachayats election i.e. Panchayats election of Odisha’s result showed that The BJD retained the top position withholding of 467 Zilla Parishad seats but sharp downfall seats compare to 2012 panchayat results(637), the BJP jumped into the second position with the seats of 294 much improvements from last poll result (36) and the congress satisfied with 60 seats. Calculating to this the BJP has started the mission of 120+ of seat winning in the 2019 general election. But it is seen that the Mandate of Municipalities and Panchayats election generally do not reflect in the state Assembly election due to the grass root elections are tussling with the local issues and problems. For instance in the recent Gujarat grass root election mandate has been dominated by the Congress while the assembly election, the BJP has managed to come in to the power. 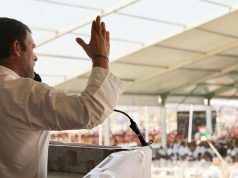 The BJD has approached to the political battle into Bijepur on the issue of demonetization, the evil corollary of the imposition of GST and its Marginal tax burden towards the waiver group of Bijepur, issue of Mahanadi water dispute and the neglecting of Tribunal formation by the Union Government, incapable of the union BJP government in policy implementing of the election manifesto of 2014. Many time the BJD and others opposition columnist the BJP a party of Fascist and neo- monarchical for the formation of the government in several states by using of evil politics rather than the development of the country under the Modi regime. Of course , in the mean time Bijepur has been declared as NAC and Gangadhar Meher lifting irrigation project has been working for the sake of the farmer. The huge asset behind the BJD urge to be Clean and decent Image of the Party supremo and Chief Minsiter Shri Naveen Patanik and his method of welfare policies making and its effective service delivery under his government which has achieved the excellence some social development index. For this , the state government has received the more than ten awards in numerous spheres from the central government including best rural infrastructure building, highest construction of concrete road in rural Odisha, rationalized skill development programs, highest child immunization and institutional delivery , rapid social development in tribals area compare to other state of India during 2015-17. More over Mr. Patnaik also has received the awards of best Administrator by India Today Magazine and Ideal chief minister from MIT Pune. If I analyze the BJP tendencies for Bijepur election fight. The party is focusing on the block level corruption issue of BJD government, Kunduli Sucide incident, some of the governance failure in Western Odisha, Farmer suicide in Bargarh, allegation of the inefficient expenditure of central fund, achievement of the Modi Government in term of GST and demonetization and fore mostly the party performances in Assam, Gujrat as well as in the Panchayats election in Odisha. Under the circumstance the congress has little delayed in the finalizing the candidates for this election. Congress leaders in Odisha also focus on Kunduli Suicide incidence and the role of the state machinery, social development issues of the farmers and dalits, hiking of MSP and Prestiage to the Farmers and exclusively targets the farmers issue in Bijepur. 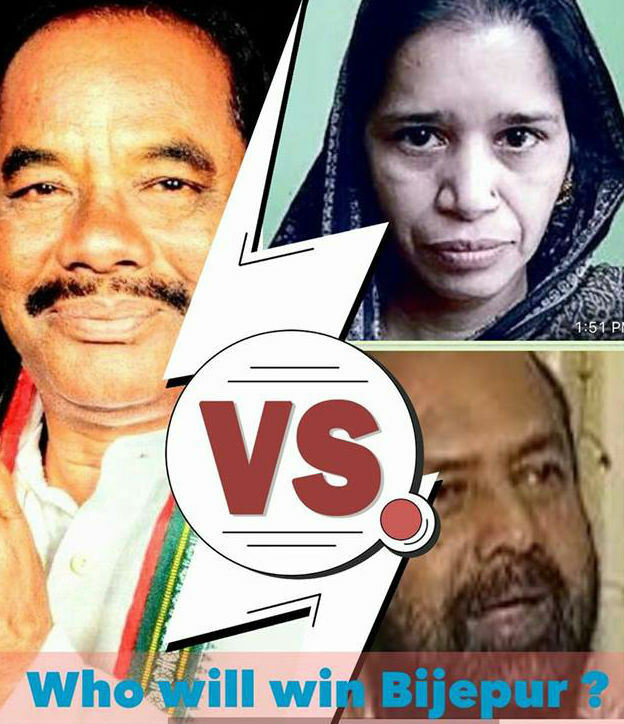 The Party also criticizes the BJD for the bringing Rita Sahu the wife of late Subal Sahu of the congress and the Asok Panigrahi from ex BJD’s MLA has been preferred to the MLAs Candidate of the BJP . On the other Hand , the PCC of Congress arrests that we provide a local lean image candidate belonging to the Congress party only. In the competition between the BJP and BJP , the congress has in back foot in star campaigning, porters war and using of more symbolic politics. There would be triple tussle between BJD-BJP- Congress in this by election but the some political researchers and Journalists percept that bi-fight may be taken place in this by election in between BJP- BJD. But the perception is to be, the congress will stand at second position if they retain their traditional vote bank in Barpli and Paikmal areas. On the other hand the victory of BJP and BJD would be tusulle of sky-touched if there is huge fragmentation of the Congress votes. If the the BJP retain the vote share of the Panchayats election in Bijepur, the party may near to accumulate the victory. Remarking the trend of Congress in Gujrat or the smaller detergency fragmentation of congress vote in Bijepur will pilot the BJD to gain the seat in this by election.